TOW Estonian O-week - last chance to see Thierry Georgiou in WOC action! Estonian O-week - last chance to see Thierry Georgiou in WOC action! Did you know that WOC 2017 is the last champs for the Thierry Georgiou? Attending to Estonian O-week is a fantastic chance to see Thierry ending his international career as a runner. Thierry Gueorgiou announced in late-November 2016, that he is ending his international career after WOC 2017 in Estonia. After that, he will become an assistant coach of the Swedish National team starting from 1st of August 2017, with the main focus on orienteering technique. One of the best ways to honor the legend is to come to Estonian O-week. Estonian O-week is a WOC 2017 spectator race, which allows you to see the WOC action on the spot, and run in same terrains in afterwards. 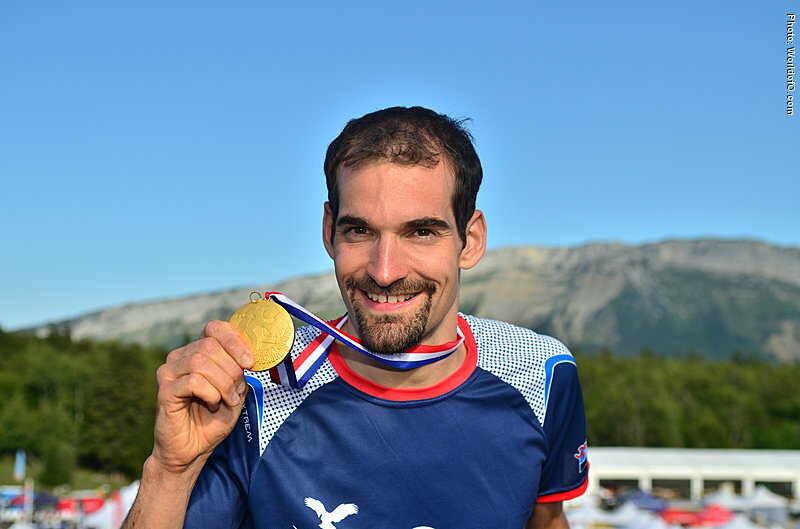 The French orienteer has won more than 20 gold medals in international competitions. His first senior debut at WOC 1997 was in Grimstad, Norway, at the age of 18. Estonian O-week takes place together with the 2017 Nokian Tyres World. Orienteering Championships in Tartu and South Estonia, with the competition terrains in Tartu, Viljandi, Rõuge and Elva-Vitipalu. It consists of 6 days of competitions with 2 rest days in between. There are 2 sprint/urban races and 4 forest races.